Air duct cleaning by Amistee Air Duct Cleaning is very important when a building has any kind of fire. The soot and burned carbon penetrates the duct system allowing a smoke/fire smell to linger if not properly cleaned. 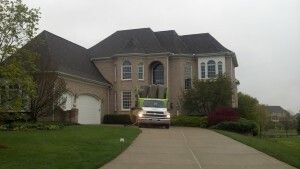 Amistee air duct cleaning in Michigan has teamed up with the largest fire restoration contractors in the country to provide you with the best specialized air duct cleaning. Amistee Air Duct Cleanings national disaster team will travel to your location to restore your buildings air ducts and get your business up and running. Amistee will provide you with a comprehensive analysis of what needs to happen to your duct system that many others can not. 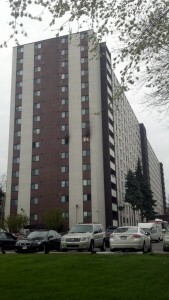 Amistees most recent project was a 15 story high rise that caught fire over night affecting the entire building. Amistee was able to restore hundrands of individual air duct systems. Call Amistee today at 248-349-8877 to service your facilities air ducts in Michigan or surrounding states. Air Duct Cleaning is a large breeding ground for companies who take advantage of homeowners both young and old. It is an industry where you can not really see what has been done, or can you? As a homeowner you own the ducts and it is YOUR home, so you deserve to see what is being done or not done when you hire a contractor. At Amistee we will show you before and after pictures of your ductwork. This will prove to you what we have done. We will invite you into the work area and show you exactly what was done and provide you with any recommendations. We will show you pictures of any area of your duct system, not just one if you wish. The National Air Duct Cleaners Association is a nonprofit trade association dedicated to setting standards and guidelines within the air duct cleaning industry. When a system is maintained properly, most homes duct systems only need cleaning every 3-5 years. If you decide that it is time to hire a contractor, RESEARCH RESEARCH RESEARCH. Once you find a contractor make sure that they are going to clean the entire heating and cooling system. This is not just the visible ducts, this is ALL of the components which is from each register back through the furnace. Many companies do not touch/clean the furnace. They will also only clean a portion of the ducts. Please, if you are going to spend any amount of money make sure it is done properly and by a reputable company.